We carry Malone Trailers that are the perfect combination of affordability, quality and design reliability. Each trailer kit includes: reinforced steel tongue, DOT approved LED lighting, pre-wired electrical system, pre-fitted chassis components, steel load bars and galvanized wheels. 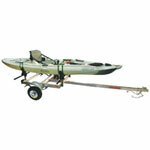 All Malone Trailers assemble in approximately three to four hours with standard tools. 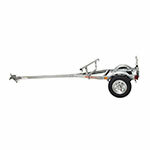 We can assemble a trailer for your for an additional fee of $200 if you are picking it up at our store.